Maintaining a state of compliance with Current Good Manufacturing Practices (cGMP) remains a challenge for manufacturing automated processes within pharmaceuticals industries. The challenge lies in assuring ISO 5 continuity space over the filling line, thus designing a retrofit solution capable of assuring the product is being filled aseptically. Depending on the application and the status of the existing line, an active/passive oRABS or cRABS will be foreseen. 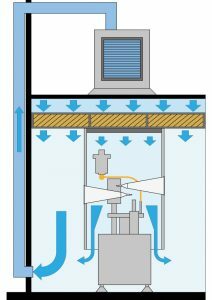 The retrofit is a reliable approach that dramatically reduces the risk of manufacturing faults and regulatory issues, both of which are costly to the organization. 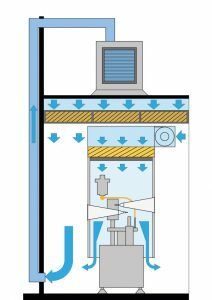 Finding a less expensive solution to protect and to adequately isolate your existing filling lines by means of a retrofit capable to ensure the product is being filled aseptically. In other words, a full retrofitting to make your filling line “cGMP compliant” again. This solution would be a RABS (Restricte Access Barrier System shown on a side). The Comecer ModRABs offering foresees a modular RAB system designed to retrofit your aging filling line. Modularity gives the flexibility to handle all sorts of filling lines. What does the retrofitting entail? Why Comecer for a successful retrofitting projects? 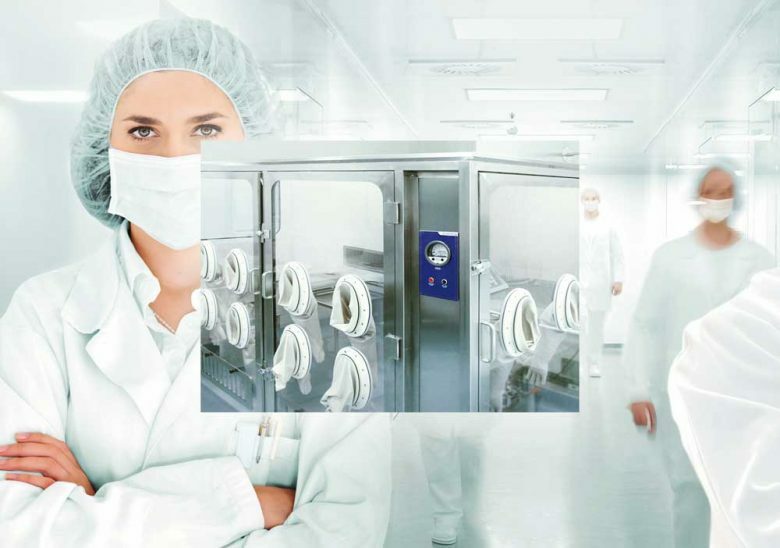 Comecer is a RABS manufacturer with the skills and the resources to provide a custom-built RABS and a complete package to support pharmaceutical companies from feasibility to finished product. Our experienced 1MP engineering team coordinates the steps listed above, plus the handling of the new layout rearrangement, the team coordination and project management duties. Our trained field engineers will execute all the on-site activities. “It is important to note that cGMPs are minimum requirements. Many pharmaceutical manufacturers are already implementing comprehensive, modern quality systems and risk management approaches that exceed these minimum standards”.